For a very long time FLV was the format of choice for streaming online videos, and although it is gradually being supplanted by HTML5 formats – it is still widely used across the internet. Unfortunately while streaming FLV videos is generally not a problem, some devices and platforms may have issues playing FLV video files directly and may require special players or additional codecs to be downloaded. Rather than having to worry about that you could convert your FLV videos to MP4 instead – which is a much more universal format. Although you may not have converted video formats in the past, with the help of Movavi Video Converter you’ll find that it is easy to convert FLV to MP4. If you haven’t already downloaded and installed Movavi Video Converter, you should do so now. It shouldn’t take very long, and all you need to do is follow the instructions in the simple step-by-step wizard to install it. Once installed, you can launch Movavi Video Converter and add the FLV video that you want to convert to it. It is up to you whether you’d like to drag and drop the file into the main working area as indicated on the interface, or click on the ‘Add Media’ button in the upper left corner then select ‘Add Video’. Next you should set Movavi Video Converter so that it converts the FLV video that you added to MP4. To do that you need to first open up the ‘Video’ tab in the bottom section of the interface and select the ‘MP4’ category. In that category you’ll see several presets and you can choose whichever one you want based on the resolution that you prefer. Instead of selecting to convert your video to MP4 however, you could convert it to the best format and video settings for the device that you intend to use. If that’s what you want, open the ‘Devices’ tab instead, select the device model you’re using, and Movavi Video Converter will handle the rest. Regardless of the option that you chose, you should be ready to convert your video – but before you do you could click on the ‘folder’ icon beside the ‘Save to’ field to set the destination folder. When you’re ready, click ‘Convert’ and Movavi Video Converter will start to convert your FLV video from FLV to MP4. Overall it shouldn’t take long for the video to be converted, as Movavi Video Converter uses its very own ‘SuperSpeed’ technology to speed the process up. In most cases the time it will take to convert a video is roughly the same as it would take to copy and paste it to a different destination. Aside from converting videos it is worth noting that Movavi Video Converter can convert audio and images as well. If you want you could even cross-convert your media files, and extract audio tracks from videos, create animated GIFs, or grab screenshots. 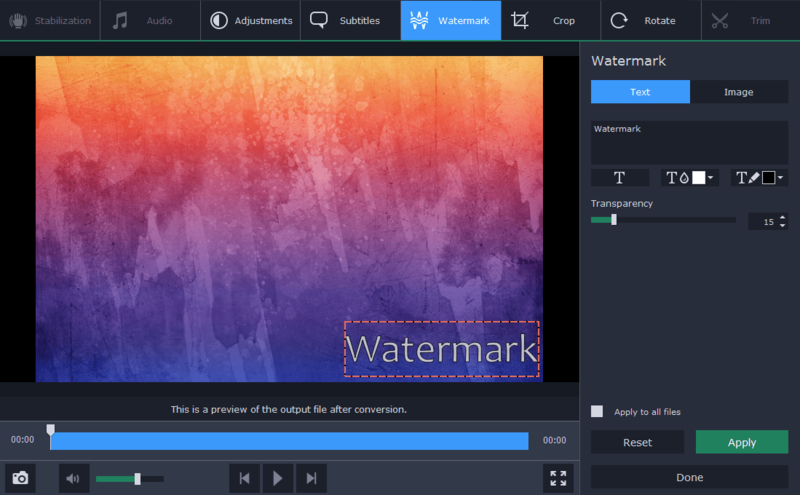 It has other tools as well that you can use to compress video file sizes, resize their frame, or edit videos to enhance their quality, add captions, trim out unwanted parts, and more. As you can see there are lots of ways in which Movavi Video Converter could be a useful tool, but initially you may want to try using it to convert one of your own videos. Once you do that you’ll be able to ensure your videos are compatible with any device or platform, and could even optimize them so that they are displayed properly and don’t take up too much space.